In 1983 the author and musician Martin von Arndt and L. Heiko Mutert founded PRINTED AT BISMARCK'S DEATH in Stuttgart. Literature performances and happenings in style of EINSTÜRZENDE NEUBAUTEN formed their repertoire at the beginning. After the honouring at the "meeting of young singer-songwriters" in 1986 they changed the concept to a more musical stage program. 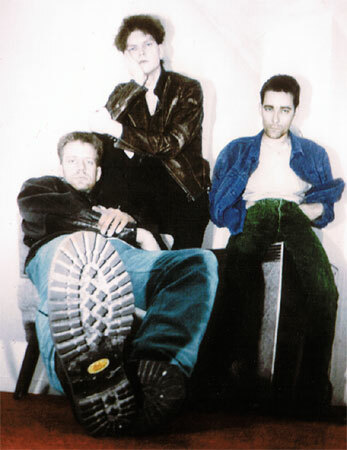 Their first LP and the radio play made the band well known in the dark wave and avantgarde scene. In 1989 the members L.H Mutert and Ruediger Frank left the band and founded the Gothic rock formation THE TORS OF DARTMOOR. The new musicians Ansgar Noeth and Martin Gruenitz provided for a decidedly left political and even stronger musical direction of PRINTED AT BISMARCK'S DEATH which produced five albums, as well as theatrical music and soundtracks in the following years.